Meet our new boy, Kodiak! 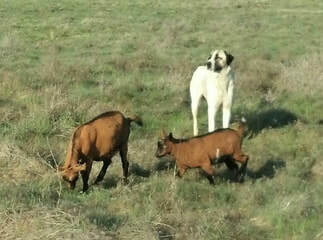 Kodi is our first AKC registered Anatolian Shepherd. 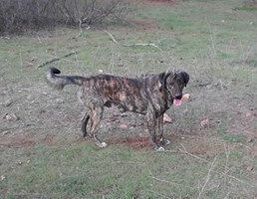 He is also our very first "rough coat" Anatolian. We are so happy to have been fortunate enough to add this guy to our farm. When I first walked into the pasture with the pups at the breeders house, he instantly came over to me and put his head on my leg. He absolutely "picked" me. Kodi is very sweet and cuddly, and absolutely fantastic around the goats. Kodi is a confident alpha male and very attentive, and he is great with the goats.